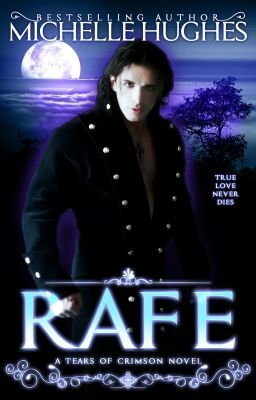 Before Tears of Crimson, there was Rafael. Fans of The Vampire Diaries, True Blood, and Twilight get ready for the world that will leave your soul longing. Her soul called to me in desperation and in my darkness, I found light once more. Tempted by her innocence, I vowed not to destroy her even though everything I am demanded she be mine. Her blood, her body, and the call of her soul tormented and delighted my senses. Would I be strong enough to deny fate or could my Cara become another victim of my wickedness? I was cursed to walk through this human world, living on the blood of those I'd once promised to protect. Cloaked in secrecy, veiled in deceit, our race was the basis for monsters and myth. Vampire, werewolf, witch, incubus, and other forms of supernatural. The truth was much darker than they could imagine. Drawn to the one thing we no longer possessed, purity, we had the power to destroy them all. My sweet beautiful human wanted me to be her salvation. If she only knew I was death waiting to consume all she offered, Cara would have run from the dreams instead of begging me to make them real. She is my punishment, a test from the heavens and I know I'll fail. Eternal love or damnation, what choice was that to offer her soul?